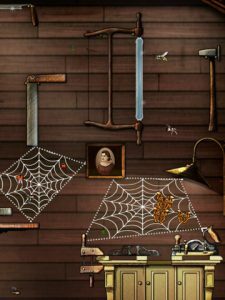 Spider: The Secret of Bryce Manor was one of the biggest iPhone games of 2009 and the winner of many accolades. Following on the success of Spider, Tiger Style have just released the new Spider: Bryce Manor HD for the iPad. The game was chosen this week as the iTunes “iPad App of the Week” – and it’s not hard to see why. The game starts out with a short tutorial to familiarize you with the control system, which is itself intuitive and easy to use. 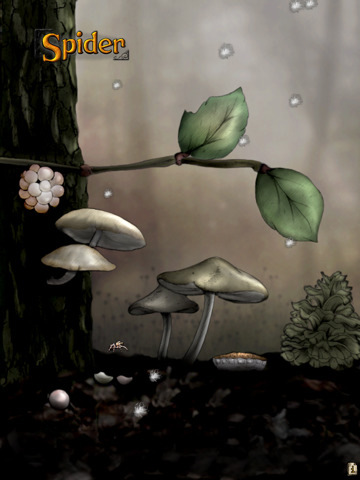 Simply draw your finger along the screen to move the spider, swipe to jump, and tap and swipe to produce silk. Creating a geometric shape, like a triangle, between objects with silk strands allows you to create a web which can trap flies and other bugs. 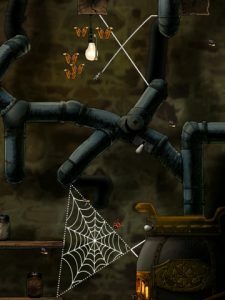 The goal of the game is essentially to navigate the map, creating webs and capturing enough bugs to open up a portal to the next stage. If you’re going for a high-score, leaping from web to web rather than moving to the ground first increases your scoring multiplier. 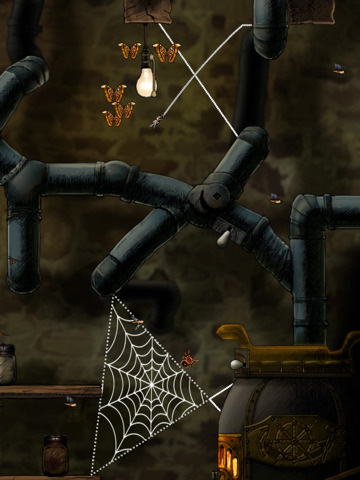 Spider: Bryce Manor HD is a beautifully illustrated game, which takes you on a journey in and around Bryce Manor, but sometimes the visuals look like they’re just not quite “HD” enough. The game allows you to pinch-zoom, and it’s not really a big issue once you’ve zoomed out, but there is an auto-zoom feature which hones back in your spider as soon as you touch the screen. 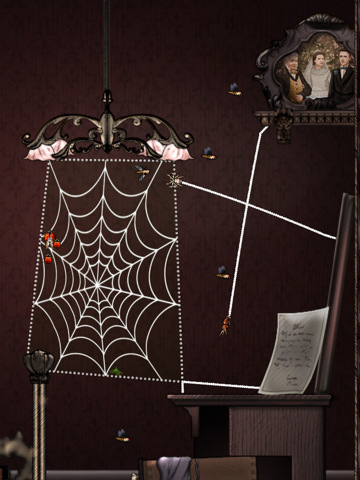 Still, the game is super-quick and looks flawless as you jump your little spider across tabletops and off candelabras. Spider: Bryce Manor HD features an understated ambient soundtrack, which matches perfectly the tone and atmosphere of the game. It’s a rare occasion where you won’t want to replace the standard game music with your iTunes. Bottom line: More than just a port of the iPhone Spider. Solid visuals, beautiful soundtrack. Great game.